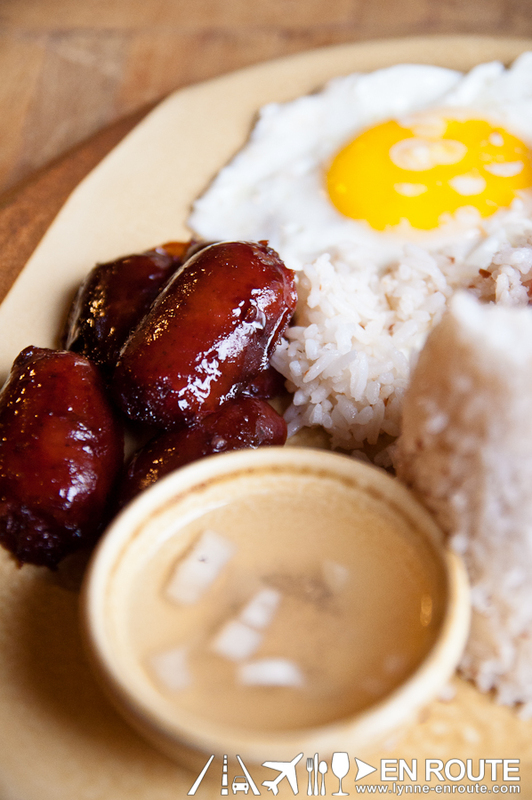 This year of 2012 seems to be especially focused on the re-discovering of the identity, culture and pride of the Filipino. What with the appreciation of craftsmanship like that of Wilson’s Shoes in Cubao, and then the creation of Katipunan Craft’s Indio Pale Ale for the growing market of the discerning craft beer industry, and for this year’s Metro Manila Film Festival, an epic production of the film El Presidente, whose trailer in Facebook is beginning to gain some ground and looks promising to win some accolades. 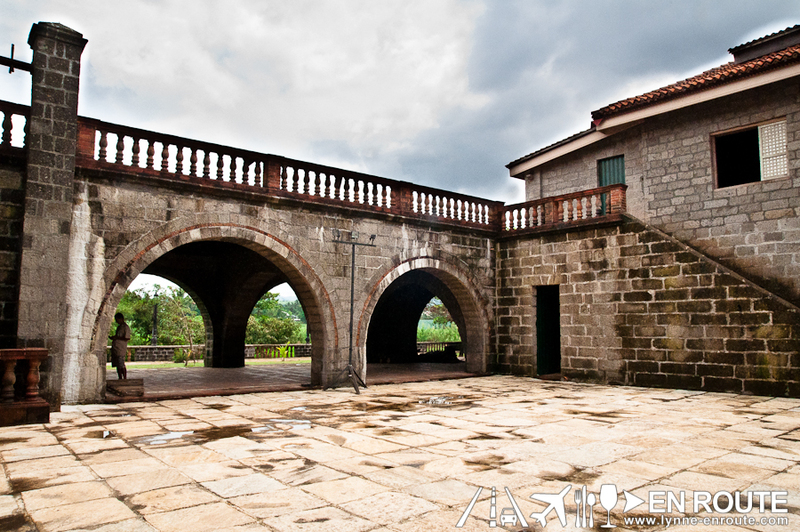 As a matter of fact, the shooting for the film El Presidente was at this place that is destined to become the premier heritage hotel and resort site in the Philippines. 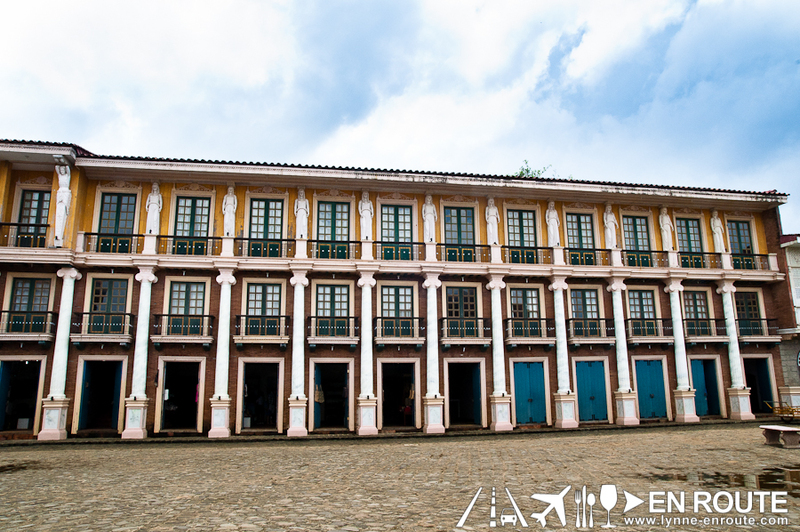 Each and every aspect of this place displays the rich history of the colonial period of the Philippines, and may give some hints to how the Filipino people are as a people today. 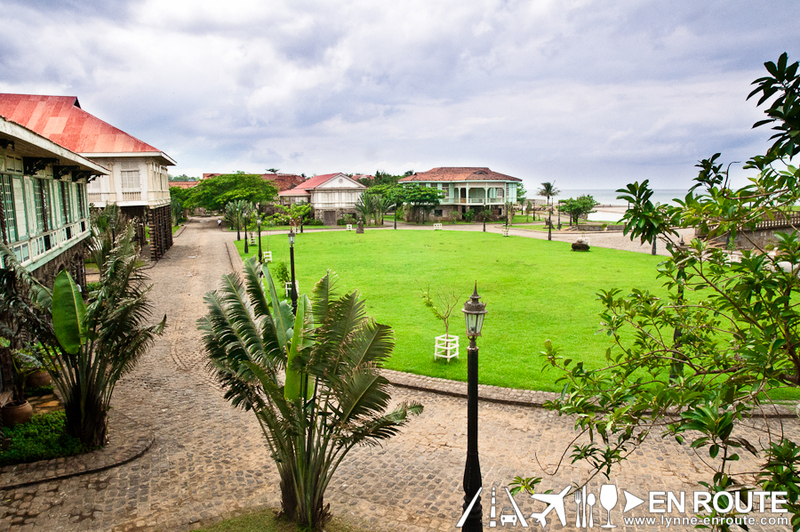 Welcome to Las Casas Filipinas de Acuzar. 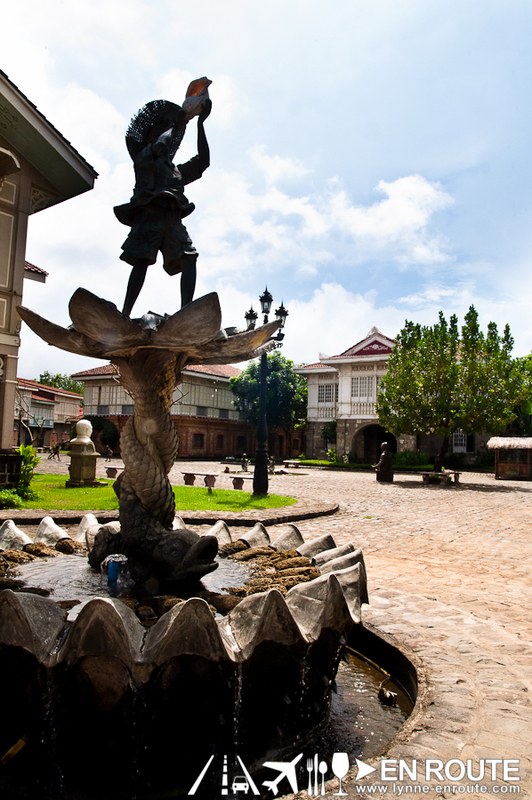 Las Casas Filipinas de Acuzar is a heritage resort tucked in the edge of the town of Bagac in Bataan. 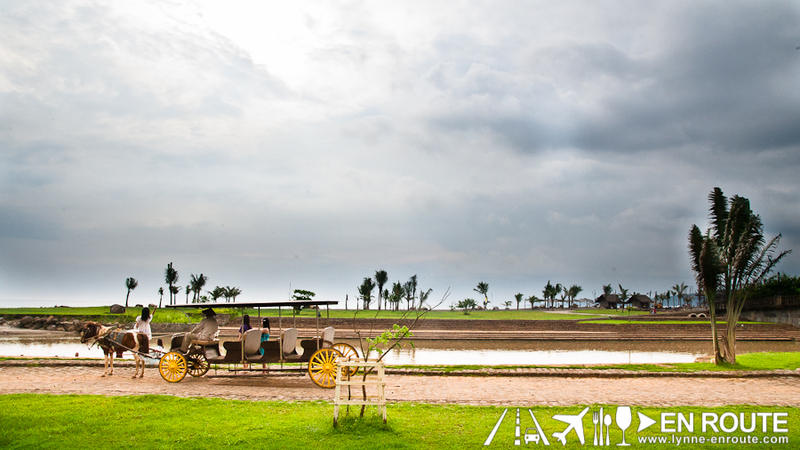 While it may seem far and takes too long to get here, the roads that lead to this place are wide, paved miles of expressways, making for an enjoyable journey to match the beauty of the destination. There are two ways to get here, but both pass through the North Luzon Expressway (NLEX). You can exit through San Fernando and take the road to Dinalupihan, or take the Subic-Clark-Tarlac Expressway (SCTEX), and head towards Subic, but exit at the Dinalupihan exit. 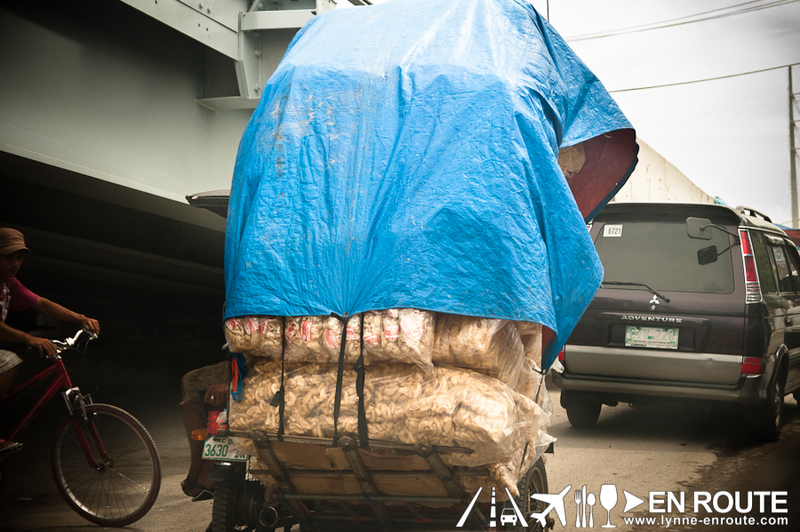 As of this writing, the San Fernando route has a lot of road works, so traffic can get intense and dusty. 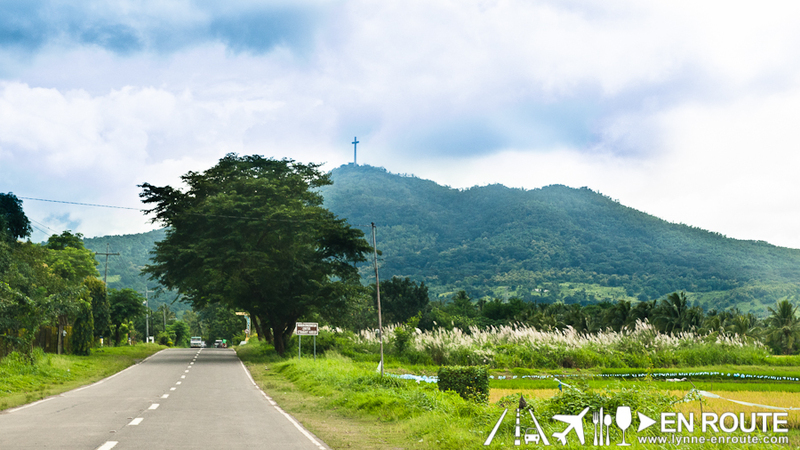 Or pass through this, the SCTEX? 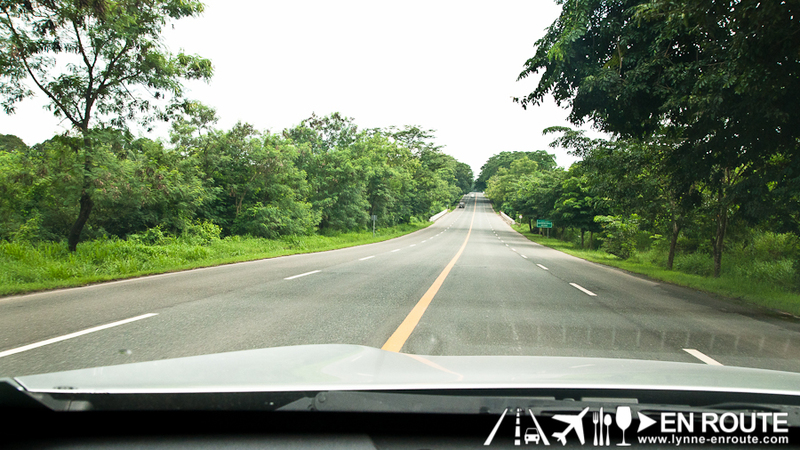 From Balintawak exit of NLEX, getting to Dinalupihan just takes a leisure 2-hour drive through SCTEX. And there will be a great amount if sights and sounds that will please you all the way. 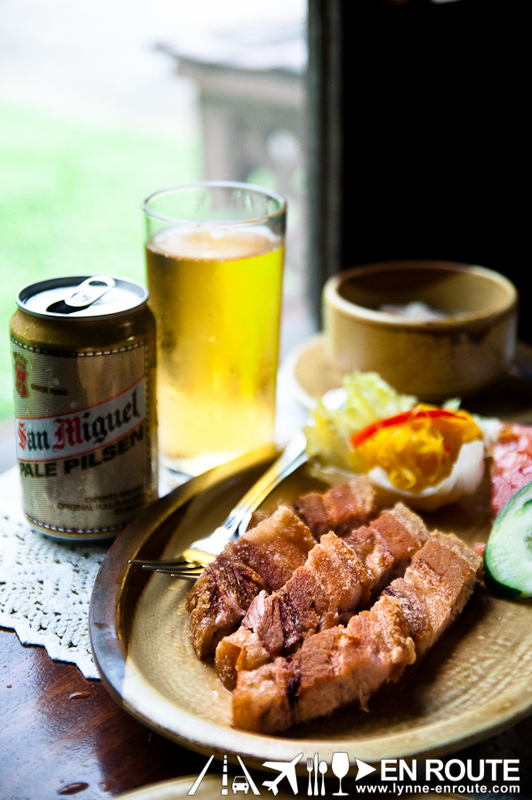 DETOUR: Make sure to swing by either the Dambana ng Kagitingan on top of Mt. 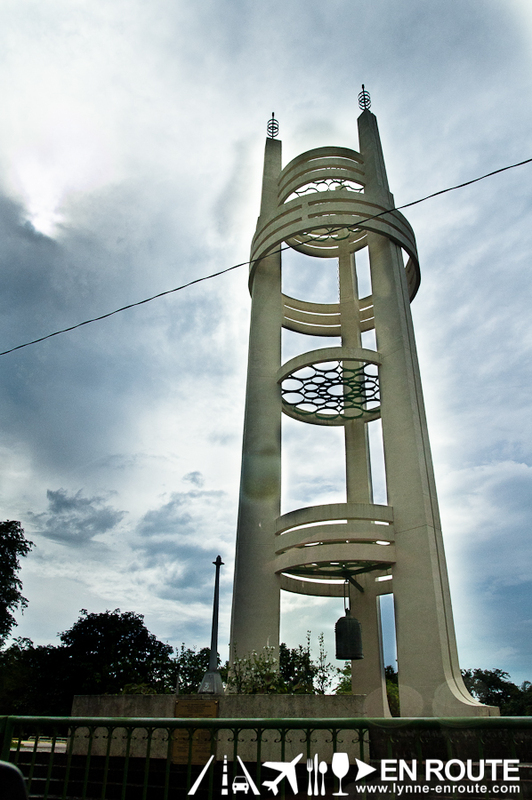 Samat or just have a pictorial in the Philippine-Japan friendship tower. 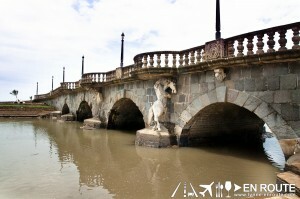 Both are on the way to Las Casas Filipinas. After the Philippine-Japan friendship tower, Las Casas Filipinas is just a few minutes away, tucked in one of the small roads in the barangay. Just take you time once you are here so as not to miss the road signs. 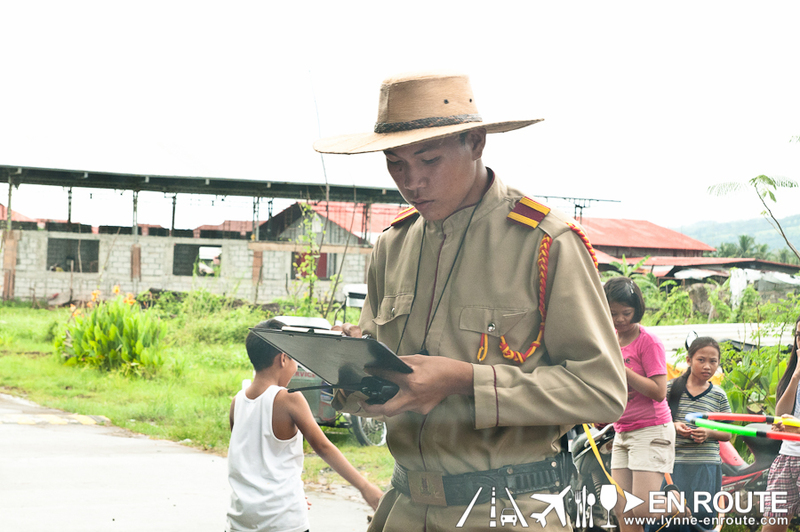 There will be markers that lead you there, and you know you have arrived when you are greeted by their security detail dressed up as a guardia cibil. Drive further and the adobe archway greets you. 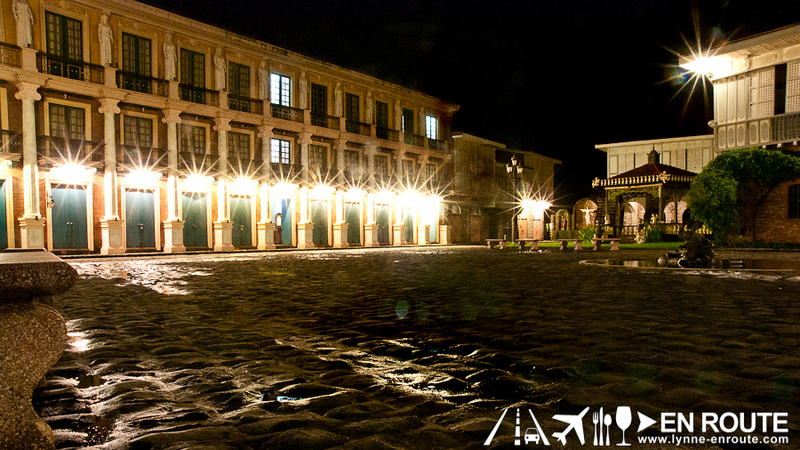 From here on, it will be on foot, so as not to destroy the cobblestone streets. 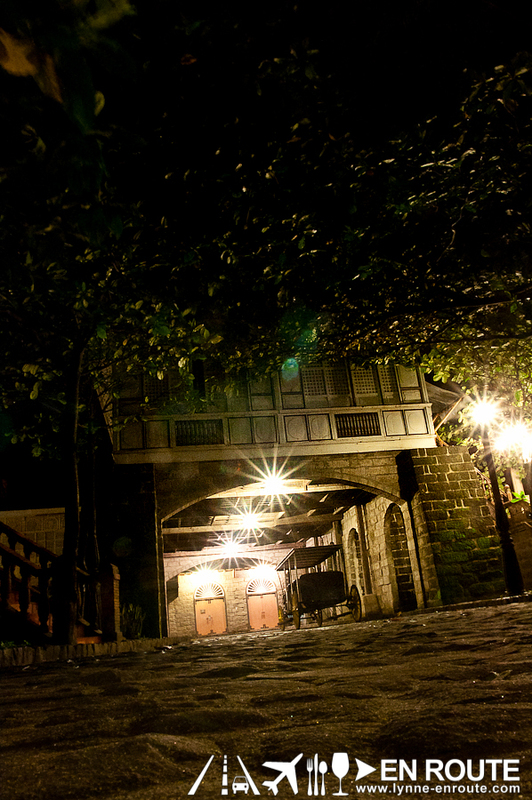 Enter the archway, and it is a time travel once again to nostalgic times of the old world. Enter Las Casas Filipinas de Acuzar, and as if it is like you were transported into a time of grandiose memories filled with so much stories. 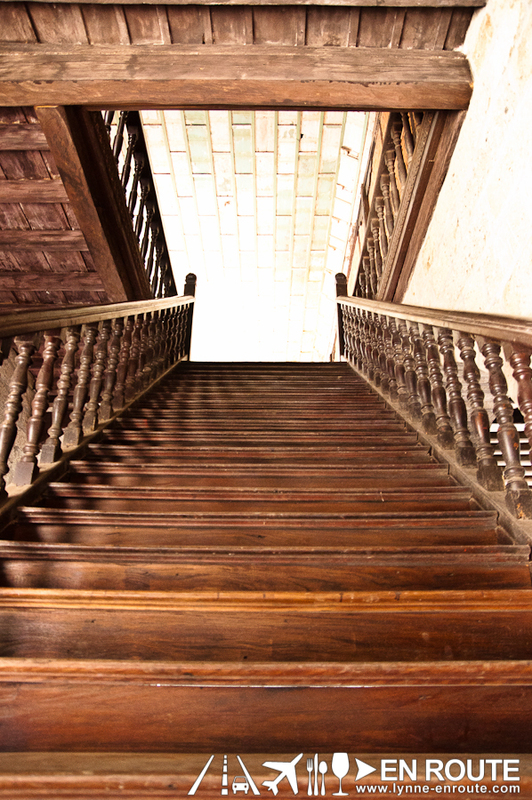 And these stories will become even more intriguing as you go through each of the houses. More on that in a bit. The people of Las Casas Filipinas came upon the idea of restoring any old colonial houses that have been abandoned or neglected by owners and bring them all to parcel of land in Bagac, Bataan to become a tourist destination, hotel and resort. 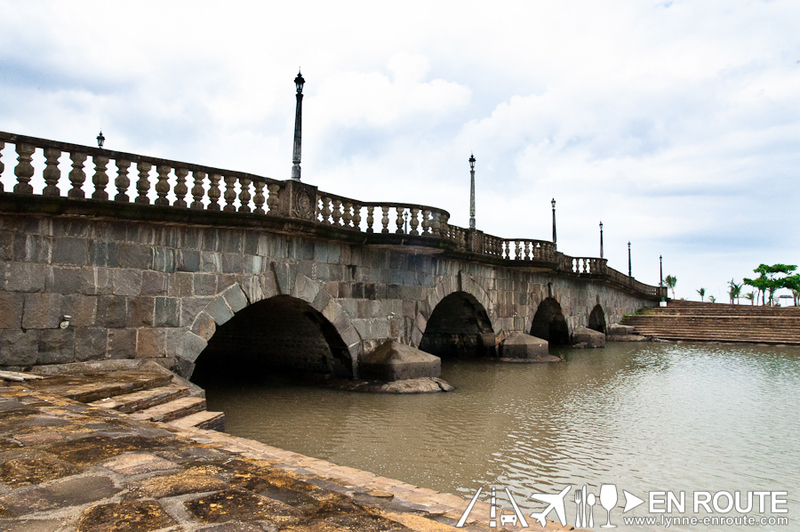 By hotel and resort, some of the houses can be rented by groups or individuals as hotel accommodations, as if like this is a small resort town, complete with carriages, stone bridges, boats, and even a cathedral (currently under construction as of this writing). 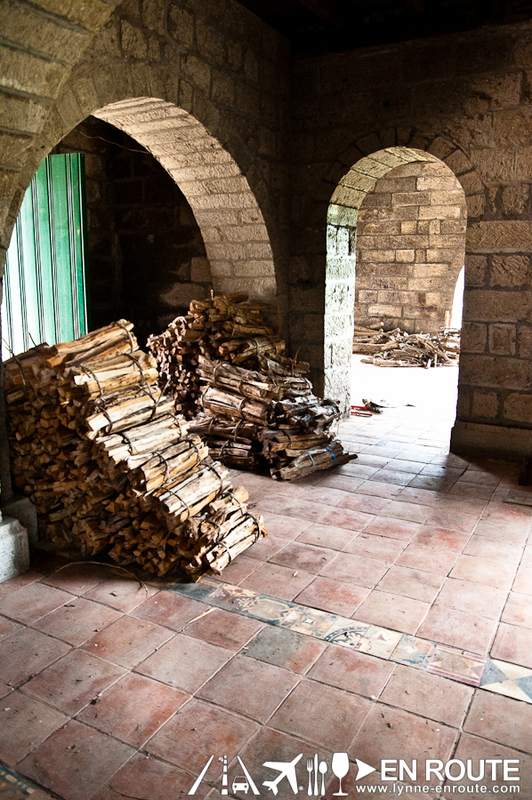 This house was found somewhere in the city of Manila, and the owners were willing to sell it for the price of scrap wood, not realizing how valuable it could have been if this was restored. 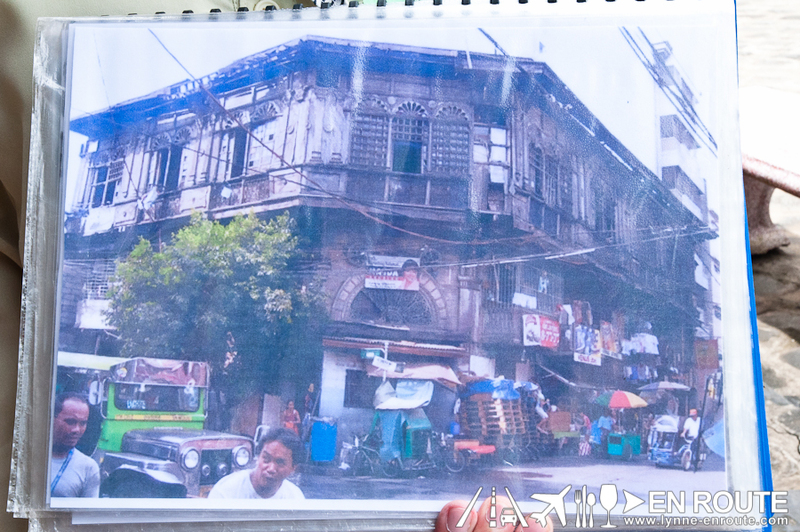 However, if this house wasn’t removed from its old place, it apparently could become a homestead for informal settlers and some dens for illegal activities such as drug pushing and prostitution. Now that’s one story not worth telling your grand kids. 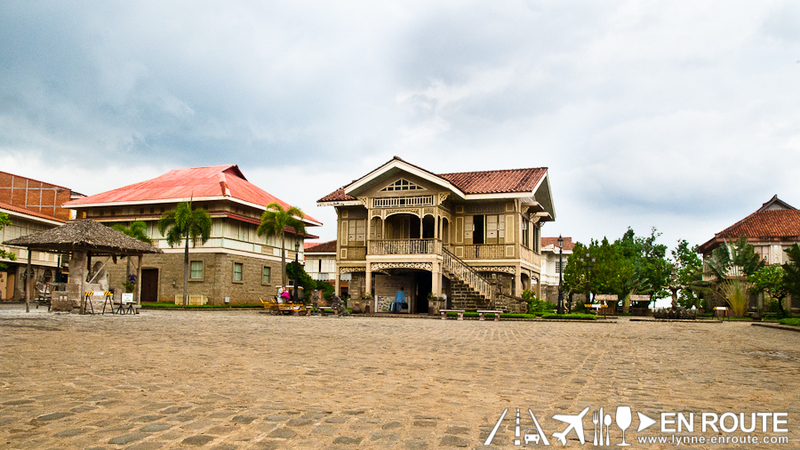 Las Casas Filipinas has so many houses with various provenances, so there are day trip packages where you are given a 60 minute tour of the whole lot, with a tour every hour on the half-hour. 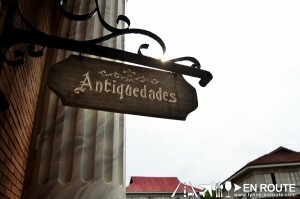 This tour is in order to get a glimpse as to how each house came about, and how the juicy, inspiring, tragic, and haunting stories of each house figures in some of the Philippine’s most famous historical accounts. 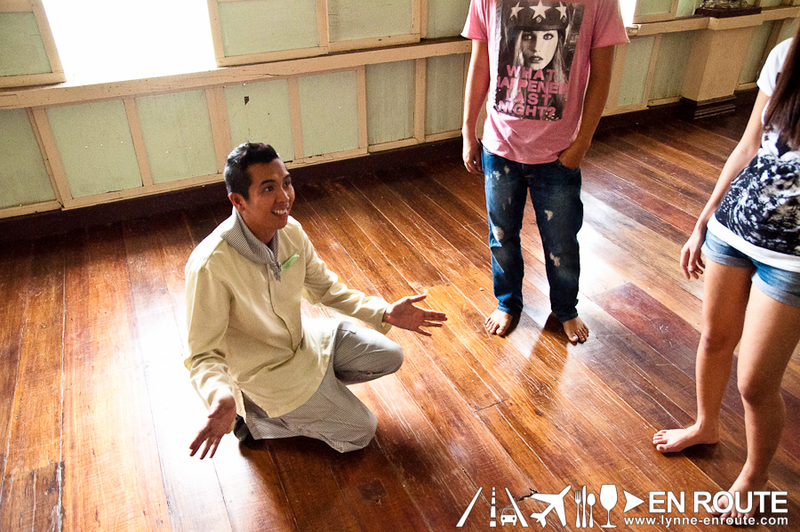 The great thing about it is that you get to enter the houses, and see also the interior design concepts of that day. 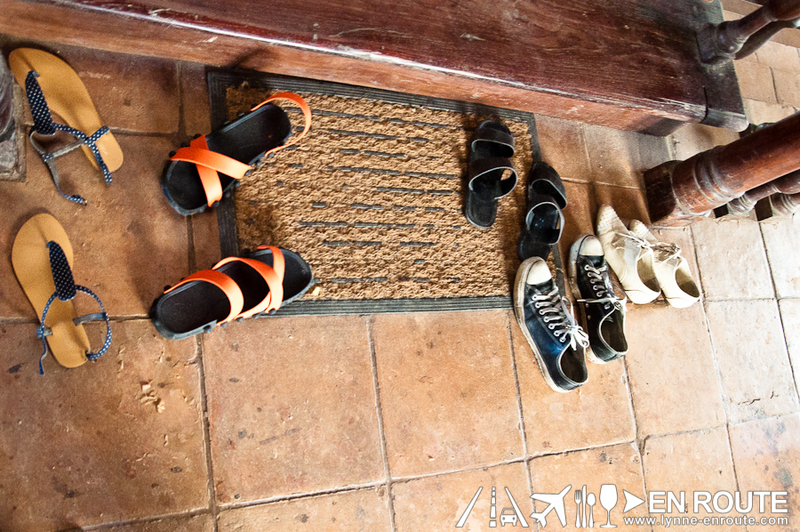 And like traditional Filipino custom upon entering someone’s house, you remove your footwear by the doorstep. TIP #2: Take your tour with Dexter. 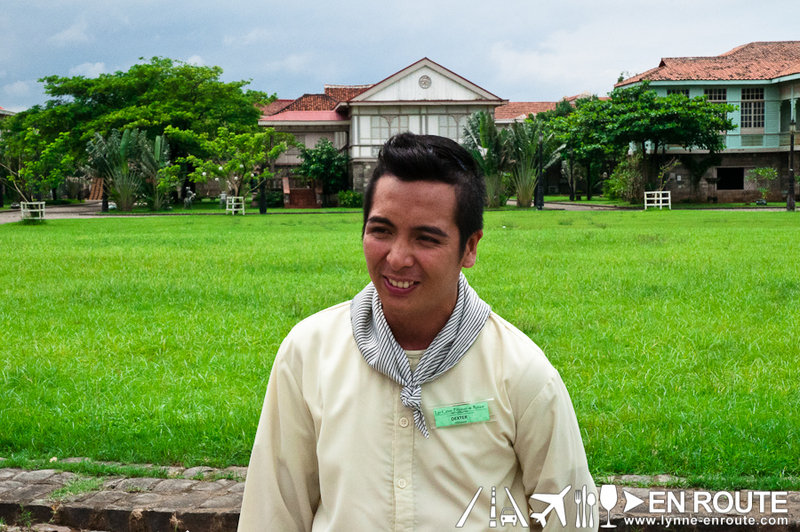 While there are other tour guides, Dexter is the most passionate tour guide of them all, as if the whole tour is a play where he is the solo star and you the delighted audience. 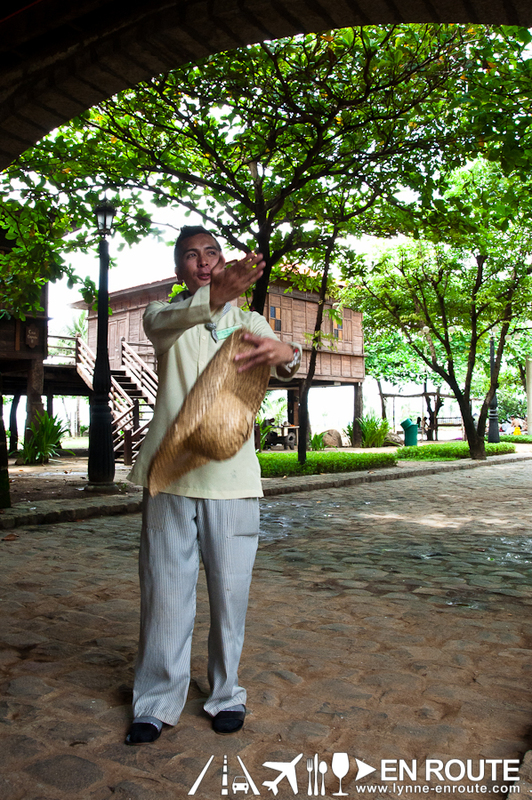 He speaks with good diction, and has a flair for the theatrical, piecing together somewhat of a story about all the houses that are in Las Casas Filipinas. 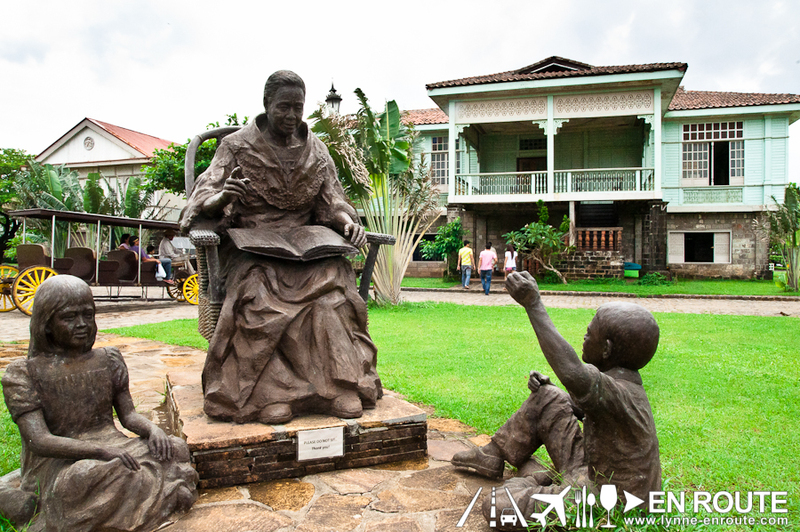 His animated gestures and stylized personal script will also give you access to the juiciest gossip of the former tenants of the homes, some of which have housed very prominent families from the Philippines. It is really interesting to note that while we generally hold national history in such high regard, they are not without their skeletons in their 400-year old closets. It must be a worldwide thing, as intrigues with even American heroes sometimes end up in Las Vegas Pawn Shops. 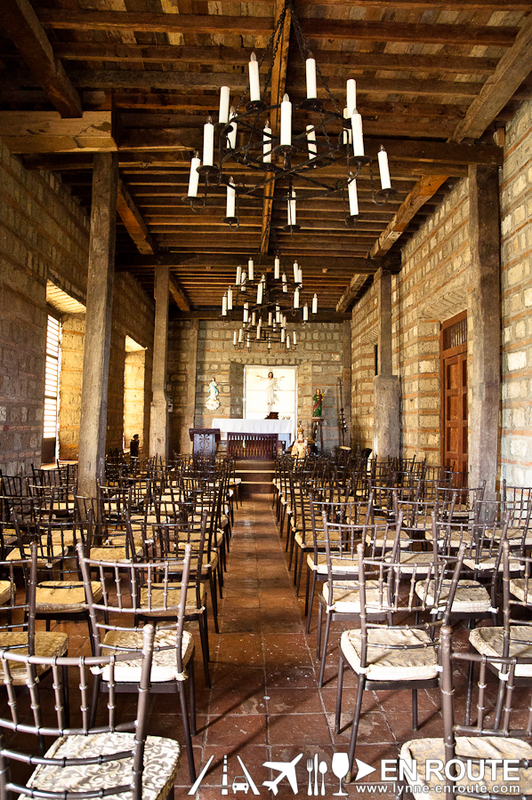 You will like how Dexter will narrate the historical account about the replica of the Alberto House and the houses with narrow corridors along its side, where the aliping saguiguilid endures the forcible orders of their masters. 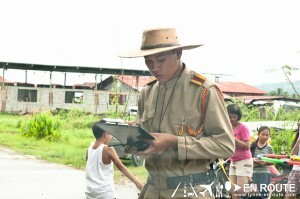 (Aliping Saguiguilid is translated as “hearth slave”. 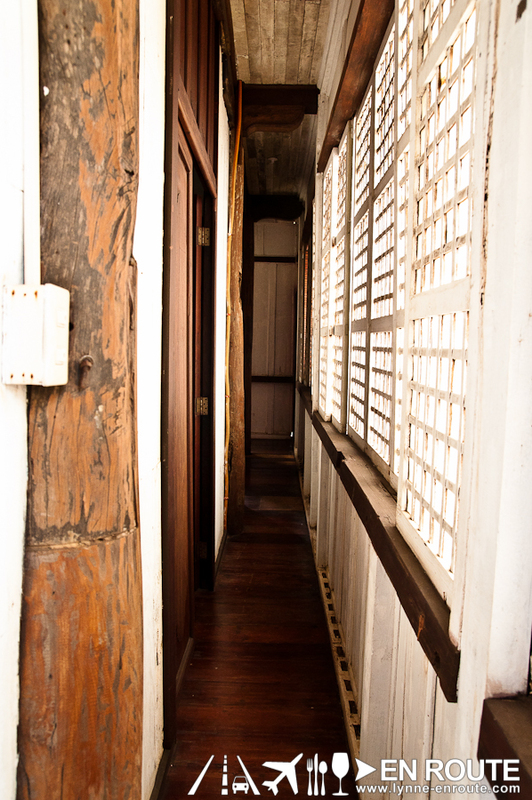 They are the lowest form of slaves in the old Filipino colonial times, who are not even allowed to be within the presence of their masters, hence the corridors where they access portions of the house for cleaning, and can easily slip back in, in case the master or some guest walks into the room). 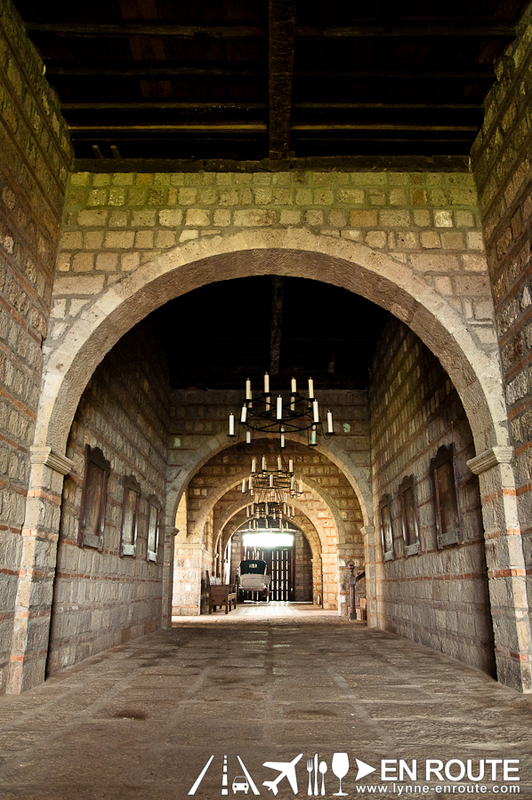 Apparently, some masters grow a certain fondness for their aliping saguiguilid, and that extramarital affairs or other steamy escapades happened inside these corridors. You’ll not guess it, but this is the ancestor of the modern day steam iron. 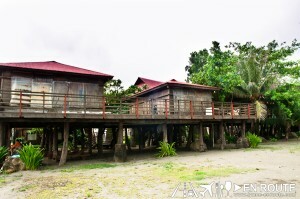 Other houses used to be those of poor people, like the Cagayan wooden houses on stilts. 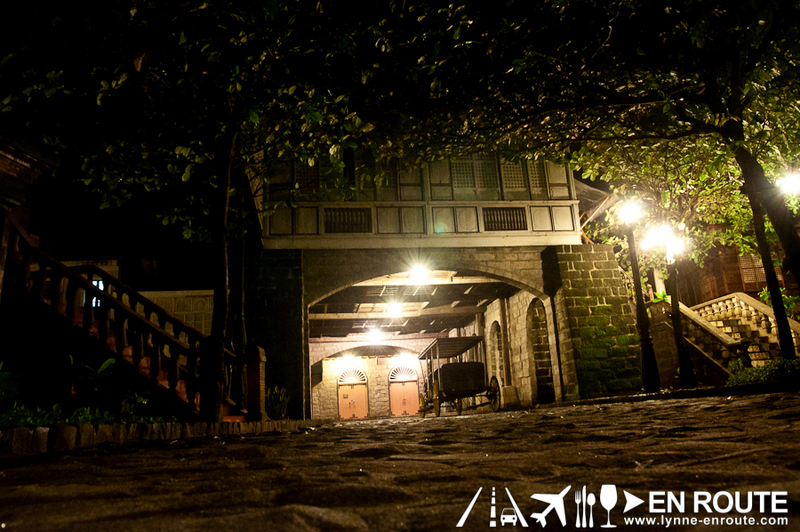 Back in those days, stone and concrete houses were the status symbol of wealth and opulence. But in these days where wood has become more valuable, these all-wooden houses have now become vacation homes of rich individuals. 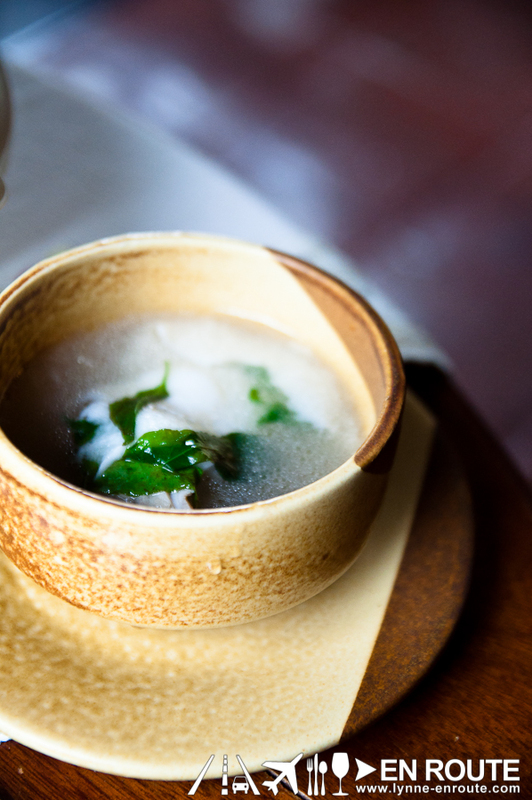 After the tour, have a sumptous Filipino lunch in Casa Unisan, where the restaurant offers a replica of colonial times Filipino fine dining experience. Take the rest of the day to look around and appreciate the effort of replicating a period of Philippine history that can now just be found in history books, or towns with a passion for heritage like Vigan in Ilocos Sur or Taal in Batangas. 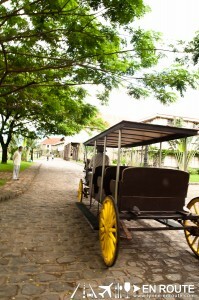 You can also partake of some of the other amenities and activities. 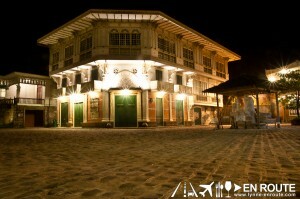 Las Casas Filipinas not only restores residential houses, but commercial buildings of the olden colonial times as well. This is Paseo De Escolta. This building used to be a hotel with boutique stores in the street of Escolta, Manila, which was the old center for business, commerce and aspirational lifestyle. Now the stores underneath are now a bakery, photo studio, antique shop, and other items of interest. 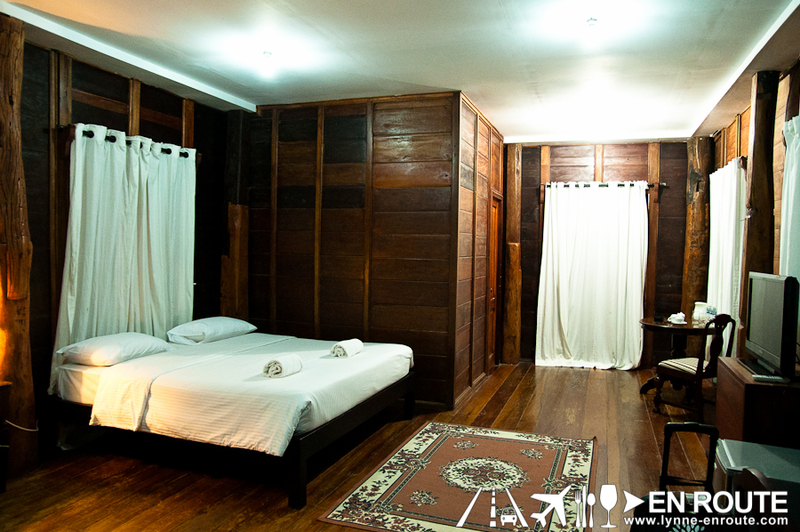 The rooms are large, made of antique wood, and air conditioned. 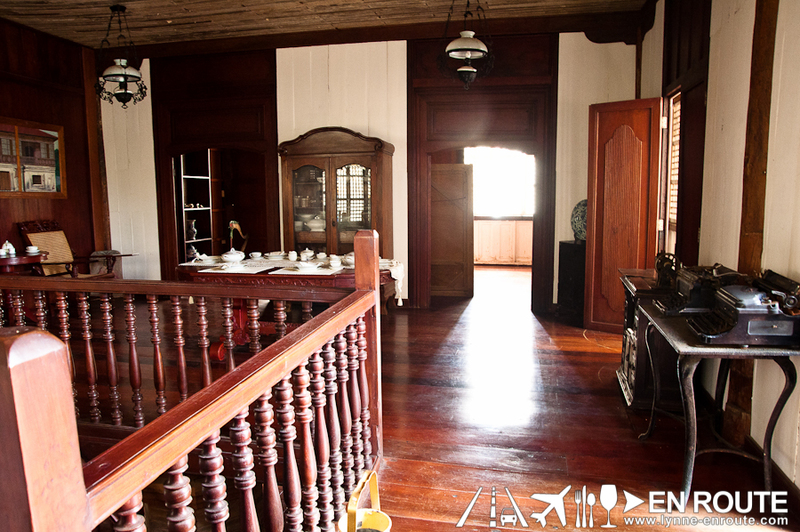 It may seem a bit dark, and the smell of wood is not for everyone, but it is quite an experience, especially when you realize that a well preserved, all-wood house in this day and age is now considered as a luxury. 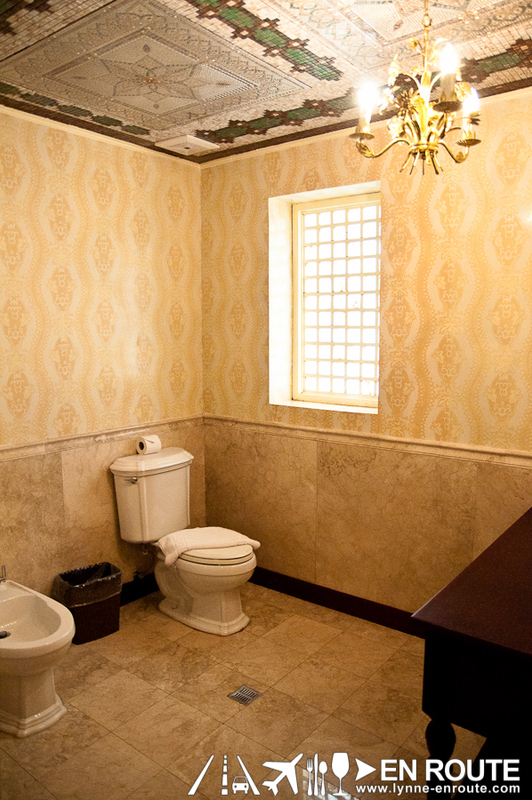 The bathrooms are also roomy, with hot running water, fully functional toilet, sink, and toiletries. During this stay, though, the water didn’t come out as hot as desired. 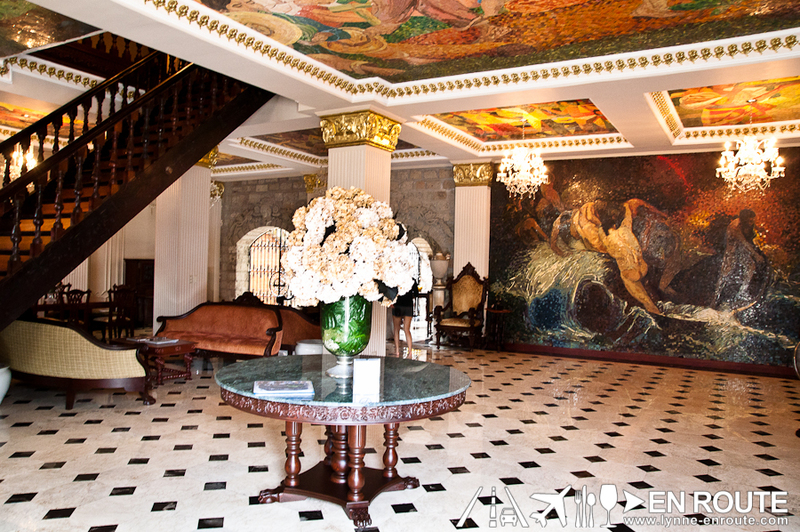 This will be your sala in Casa Bizantina. 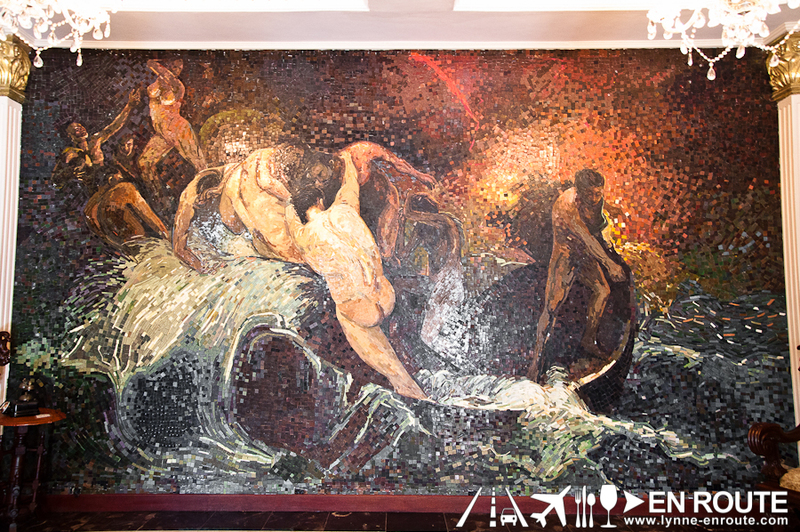 Marbled flooring, antique tables with solid wood, and mosaic replica paintings of some of the Philippine’s great visual maestros adorning the walls and ceilings, where crystal chandeliers hang, and illuminate the hall. 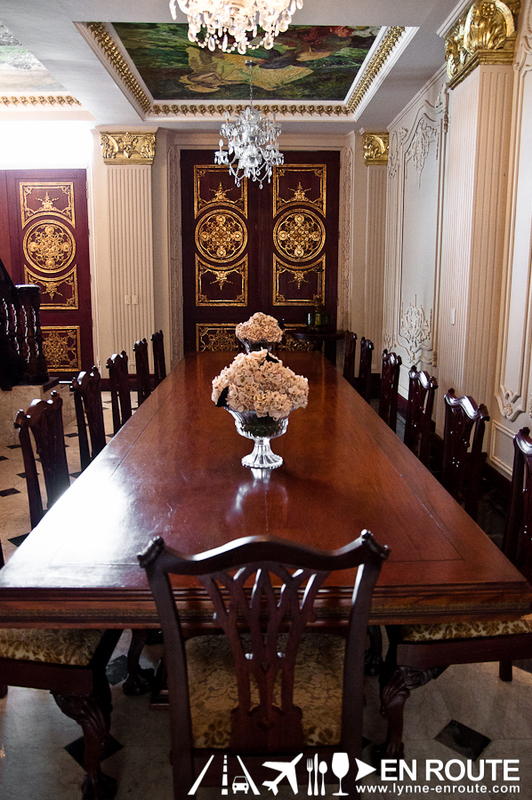 This is where your breakfast will be served by an on-site butler catering to your whims. 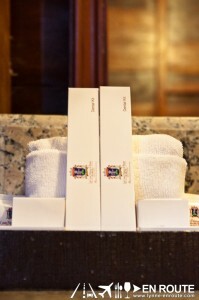 You will expect that this kind of prestige will not come cheap. Also, when renting this place, you are expected to be in your best behavior so as to not destroy any of the antiques. 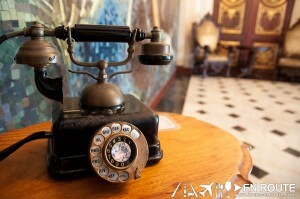 This phone has been configured to work with the current tone-dialing of the telephone provider, and works without flaw. 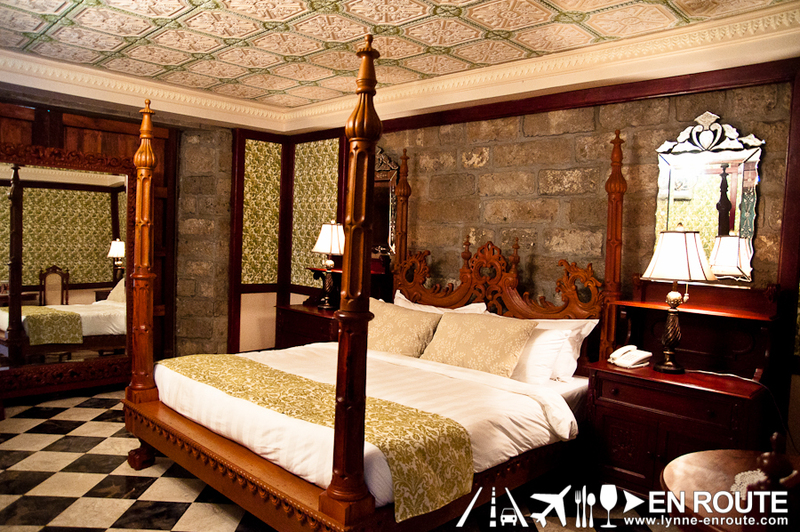 Luxury continues from the sala, through the hallways, and into your sleeping quarters. Nothing screams of wealth like a solid, four-post curtained bed. 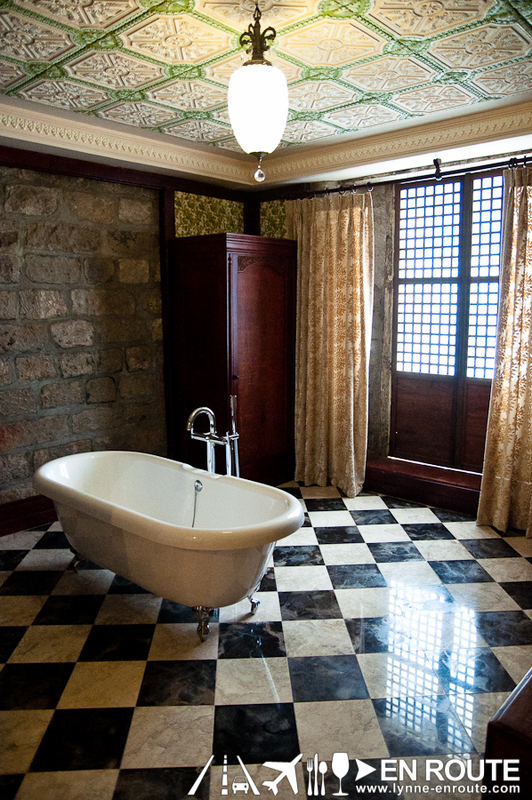 The bathrooms are so huge, that the bath area is a different room from the toilet. It doesn’t sow here, but the bathtub actually faces a TV screen, for when you just wish to melt in a long, hot, luxurious bath. 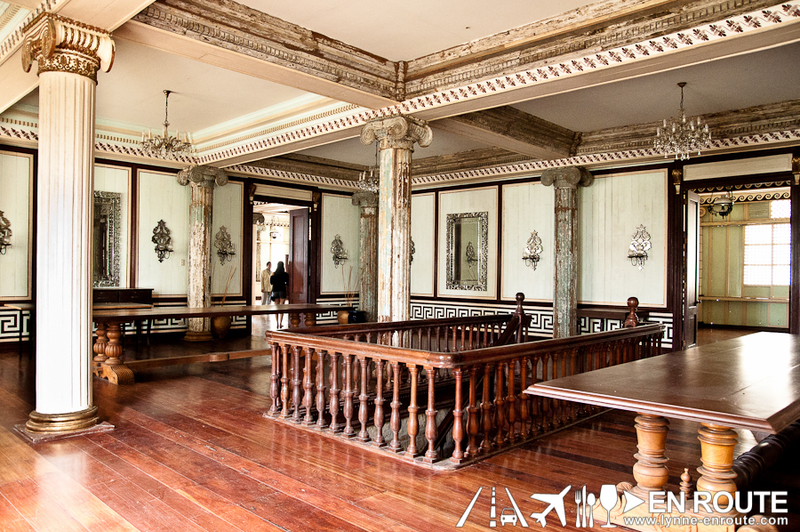 What is inspiring about Las Casas Filipinas is that the place is a materialization of a vision of renewing our appreciation for heritage by giving time, effort, and resources in restoring the houses that became a symbol of a once significant and romantic period in Filipino history. Not all lots are from restored houses, though. Some are houses that were just inspired from pictures of the kinds of houses in that certain area, and the people of Las Casas Filipinas decided to replicate it in their site. 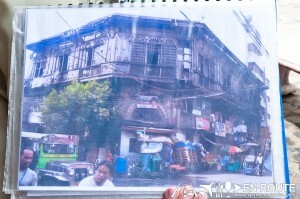 This is a picture of the Alberto House in Binan, Laguna. The Alberto House is famous as this is the ancestral house of the mother of the Philippine’s national hero, Dr. Jose Rizal. 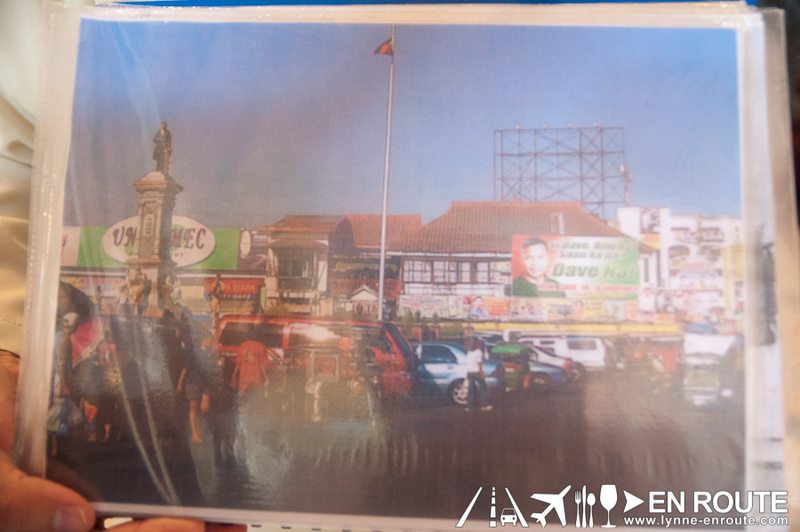 Since the local government has refused to move the house, citing that it is the town’s rightful heritage and ownership, it has stayed in its place, with the sides being used by store vendors or tricycle transportation terminals. 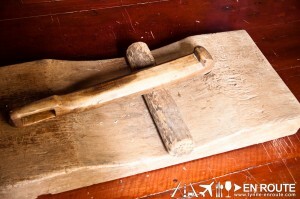 As of this writing, a portion of the original house has caved in, with valuable flooring damaged in the process, and deterioration will now be accelerated since the interiors of the house are now exposed to the elements. 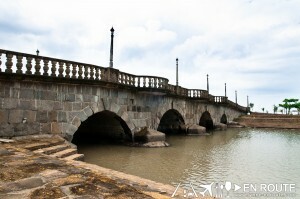 As of this writing, the local government mentioned their intentions to restore it. 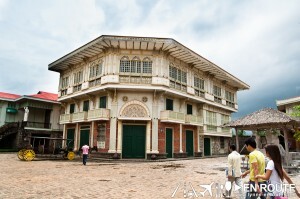 For the meantime, Las Casas Filipinas has made a replica of the house. 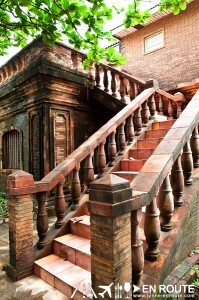 From the courtyard, to the stairway, to the garage and storage facilities. The mansion is so huge, the other side of the courtyard is another restaurant in the resort. Would you agree that maybe the real Alberto House may find its spirit reinvigorated among the other historical houses for people to appreciate in awe and wonder? Or should this be the responsibility of the local government that claims ownership of the house? 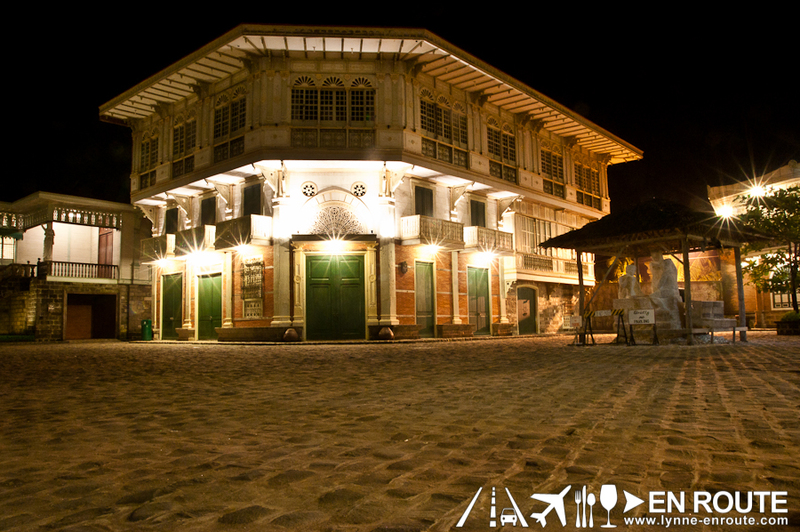 Maybe one trip to Las Casas Filipinas de Acuzar may give the answers for you, and enthuse its visitors into learning how to cherish the past for the sake of the future of Philippine culture. Yes, they do have day tour packages. It depends on what you want to do while you’re there. 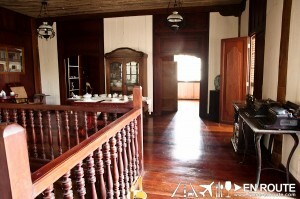 A tour with a set meal and use of the beach is P1,200 net according to their site. Entrance fee only is P685. 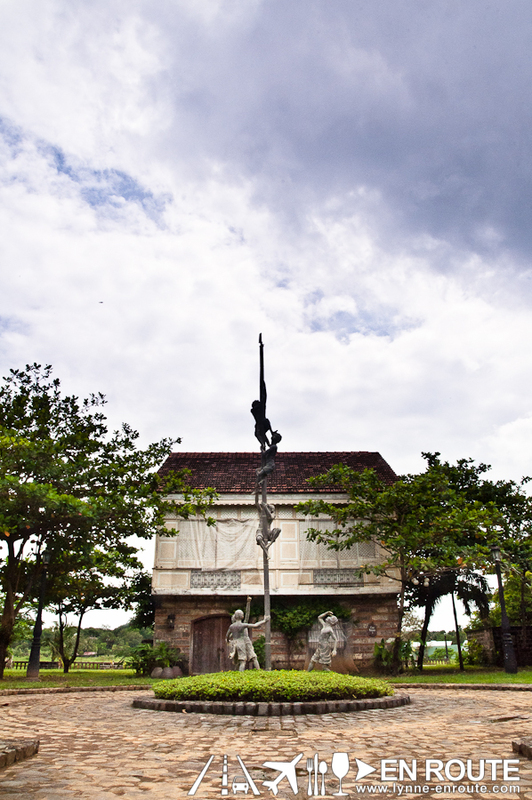 Check out their website for more information: http://www.lascasasfilipinas.com/index.php/arts/tours.html. You may also call them for reservations especially if you are a big group. Yes you may. 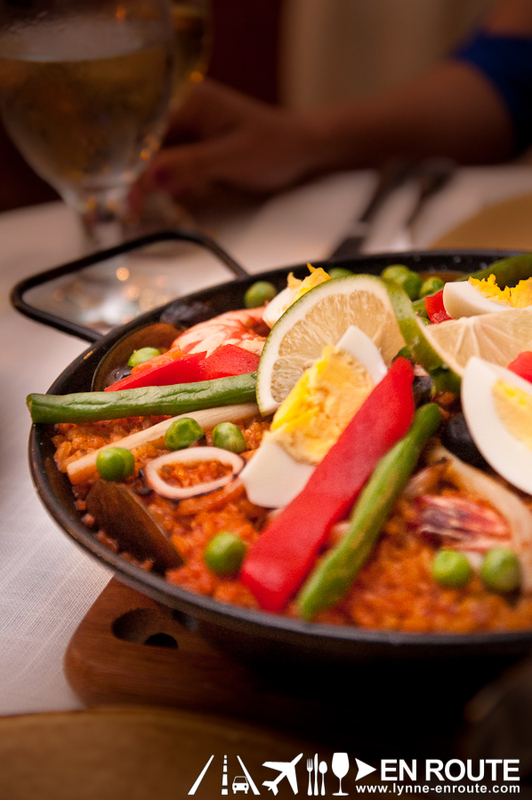 Depending on the package, there are tours with meals included in it. 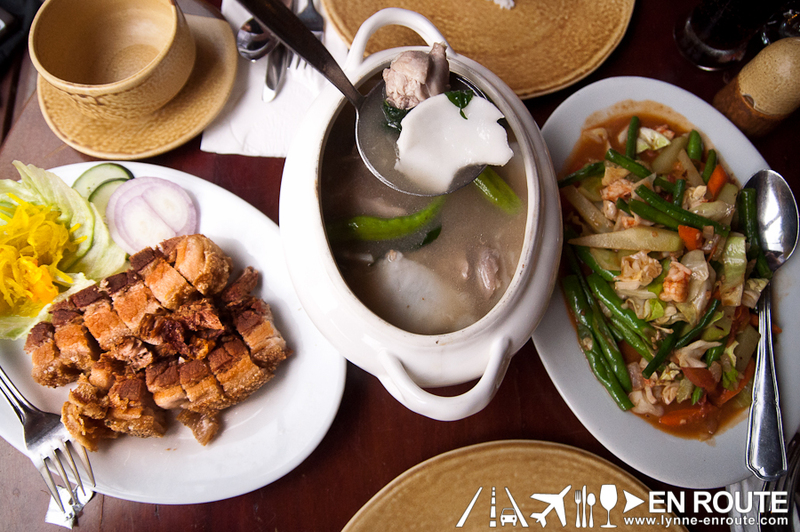 It would be best to go to the place by around 8:00am so that you can maximize your stay if it will just be a day trip. Hi John. 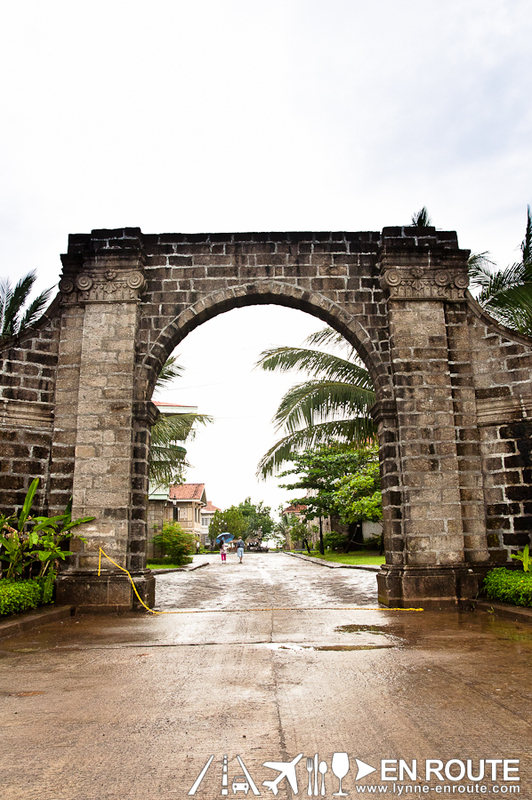 Unfortunately, we haven’t gone around Bataan too much to know the sights to visit. If we find out more, we’ll let you know.